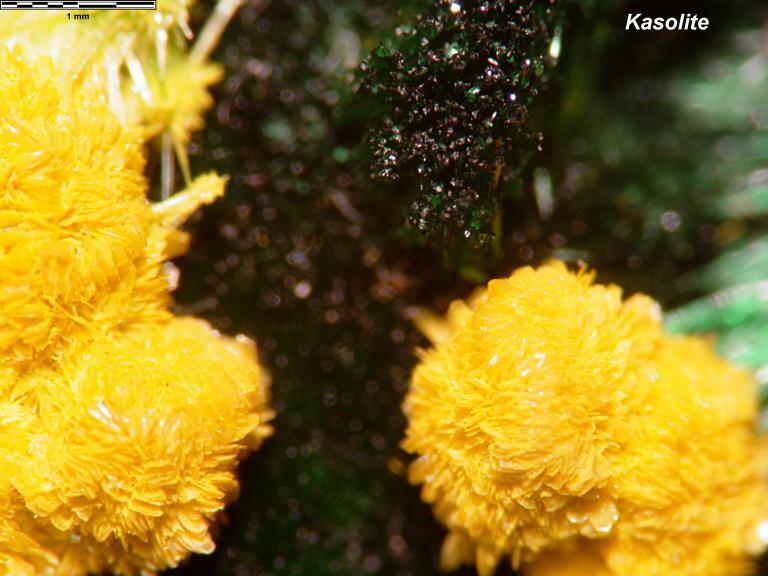 Comments: Bright yellow kasolite crystal "flowers" on matrix. Location: Kambove, (Kakanda) Mine, Katanga District, Shaba (Katanga), Republic of the Congo, (Zaïre). Scale: Picture size 5 mm.